Sean Kingston Publishing, in partnership with the Anthropology of the Middle East and Central Eurasia (AMCE) Network (link), is delighted to announce the launch of a major new book series: The Anthropology of Persianate Societies. This series is generously supported by Iranian and Persian Gulf Studies at Oklahoma State University. The Anthropology of Persianate Societies book series is published under the main editorial direction of Dr Pedram Khosronejad, Associate Director for Iranian and Persian Gulf Studies of the School of International Studies Oklahoma State University, with an editorial board comprising Prof. L. Beck, Prof. W.O. Beeman, Dr. I. Flaskerud, Prof. B. Grant, Prof. P. C. Salzman and Prof. F. Shirazi. The book series aims to publish ground-breaking work written by new and established academics from a wide range of disciplines including anthropology, sociology, folklore, religion and material culture. The series will provide a range of key introductory and advanced texts that map out different topics of contemporary Persianate societies, their inhabitants and their culture. In addition to the anthropological research monographs, reference works, proceedings of conferences and international workshops, and Ph.D. dissertations, The Anthropology of Persianate Societies series will publish significant English, French and Persian text editions of important manuscripts. Proposals and expressions of interest should be sent to Dr Pedram Khosronejad (pedram.khosronejad@okstate.edu) in the first instance. Iran, Afghanistan, Tajikistan, Central Eurasia, South Asia, Persian-speaking societies and communities in the Diaspora. All fields of Anthropology, Sociology, Folklore Studies, Material Culture and Materiality, Religion. Contact the series editor for further details (click). 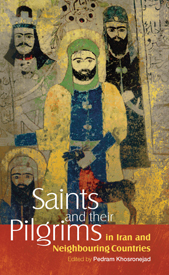 The importance and ramifications of saints, sainthood and pilgrimage in contemporary Iran and neighbouring countries are great, yet the academic conceptualizations of them and their entailments are sorely lacking. This book places the saints and their pilgrims in sharper focus, and offers important correctives to all-too-common Western misunderstandings, the foremost of which is the erroneous portrayal of Islam as primarily a body of legal doctrine and corresponding practice, and the associated principle that we can 'know' Islam if we 'know' Islamic law. In an effort to challenge such a limited, and limiting, perspective, this volume suggests that both anthropology, insofar as it can focus on experience and practice, and history, insofar as it can encompass more than an institutional/political 'names and dates' discourse, can reveal something of the dynamism of the faith, as more than the sum of its laws. The approaches demonstrated in this book on Shiite Pilgrimage offer windows into the beliefs and lives of 'ordinary' people, past and present, and thereby bring forth agendas akin to those of 'subaltern studies'. Finally, the memorializing documented in these chapters provides evidence, past and present, of widespread desires for a more concrete, even immanent, relationship that is direct, unmediated and, at least partly, involves forms of intercession - even though such desires for immanence in the Islamic world have previously been considered as limited to devotees of the Sufi saints or the Shi'i Imams or their progeny. Poetry; A note on transliteration; About the authors; About the project; Acknowledgements; Introduction: Anthropology, Islam and sainthood - Pedram Khosronejad; Chapter 1: The sanctity of Karbala in Shiite thought - Khalid Sindawi; Chapter 2: Pilgrimages to the Iraqi 'Atabat from Qajar era Iran - Tomoko Morikawa; Chapter 3: Listening, non-knowledge and the auditory body: Understanding Sufi zikr ritual and sama as sites of aesthetic experience - Seema Golestaneh; Chapter 4: Between history and memory: A case study of a martyr mausoleum in north of Iran - Morvarid Ayaz; Chapter 5: Innovation in the tradition of saint veneration in Turkey during the twentieth century: Venerating Nasreddin Hodja in Aksehir - Hakki Gurkas; Chapter 6: The revival of Shia rituals in Iraq since the fall of Saddam Hussein's regime: Permanence and evolution - Pierre-Jean Luizard; Index. Pedram Khosronejad is a Research Fellow in the Department of Social Anthropology at the University of St Andrews and the editor of several publications: The Art and Material Culture of Iranian Shi'ism (2011) and Unburied Memories: The Politics of Bodies, and the Material Culture of Sacred Defense Martyrs in Iran (2011). 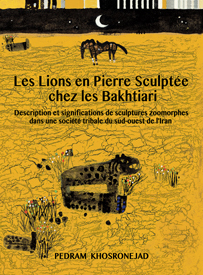 This impressive work of scholarship brings together anthropology, religion, popular culture, and history in its focus on Bakhtiari lion tombstones that have remained largely unknown and hence little studied. Although lions have long figured in Iranian history, art and myth as symbols of rulership, power, religious leadership or as steadfast guardians, art historians have tended to concentrate their attentions on court traditions and the role of lions in popular culture, especially in religion, has remained little considered until this book. Funerary stone lions are to be found throughout western Iran, but are concentrated in the summer and winter pasture areas of the Bakhtiari, today's provinces of Chahar Mahal and Bakhtiari, west of Isfahan, and Khuzistan. This highly illustrated colour volume draws on meticulous fieldwork and includes over three hundred photographs, drawings, charts and maps. The recording of this rare sculptural heritage, dating from the 16th century to the early 20th century, has become ever more pressing as some tombstones have been taken from their original settings and re-erected in parks, others damaged by the elements and some recently broken up to be used in road repairs. Pedram Khosronejad is a Research Fellow in the Department of Social Anthropology at the University of St Andrews.